Thanks for the tips! All very good and easy to follow. 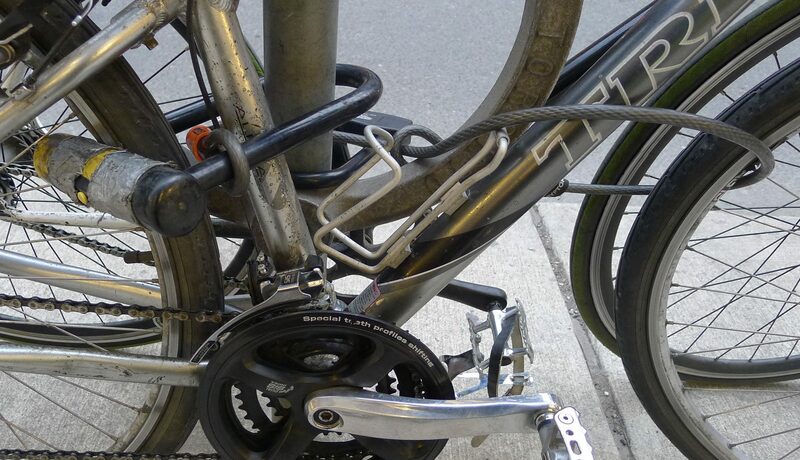 It might feel like an added bother to use 2 locks but I’d rather take a few extra minutes to lock up my bike securely than to get back and find it gone. Absolutely! And the thing is, if it feels like a bother to you, it’ll feel like a bother to a potential thief, and he/she will move on! Great thorough write up, congrats on being featured on Kryptonite’s Facebook page. 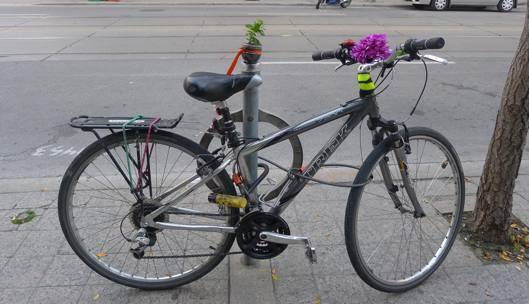 Unfortunately those “post and ring” stands have been exploited and made bike theft even easier in Toronto. 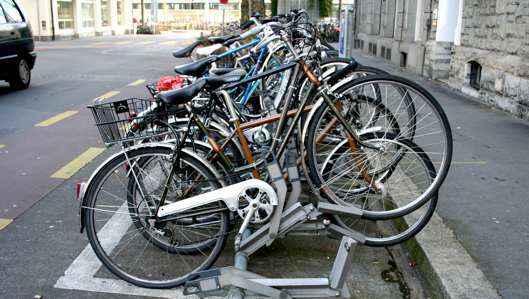 Thieves can simply sledgehammer the ring off the post, and make off with with the bikes. Not all that common I hope, but it happens. Thanks, Alex! Great tip! 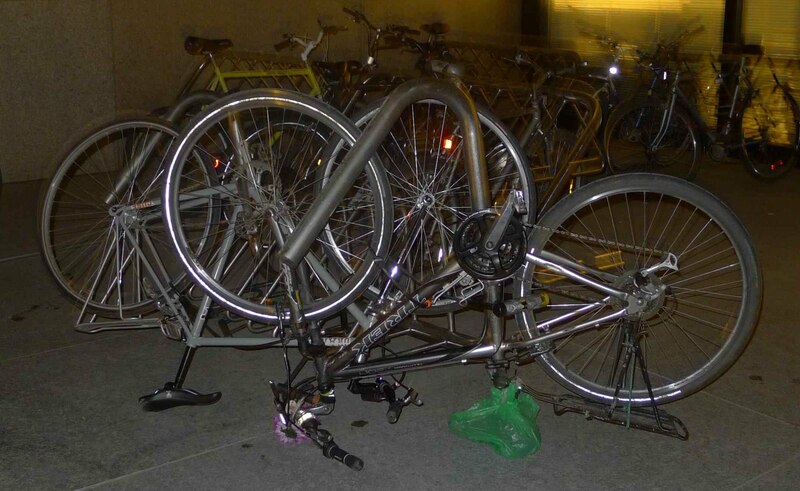 I’ve seen people lock their bikes that way, and I can visualize how it cleverly secures BOTH the wheel and the frame, even though it’s only locked to the wheel and stand. I’d definitely consider getting a (lighter!) New York mini lock to use the Sheldon Brown Method. But it’d take me a bit to get over the fact that my frame wouldn’t be locked to the stand! And you’re right, the post-and-ring stands aren’t perfect. 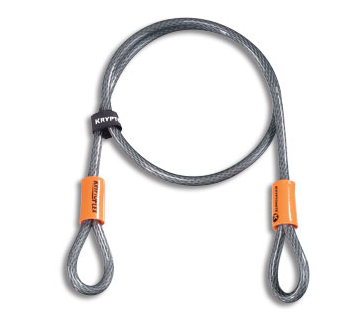 Because the ring can be broken, I try to lock my bike to the post – and lock it tight enough that there’s no wiggle room to lift it up over the post. Usually takes me a few minutes to get the barrel to fit in the U-lock because the U is crazy-snug around the post, seat post and wheel/tire. 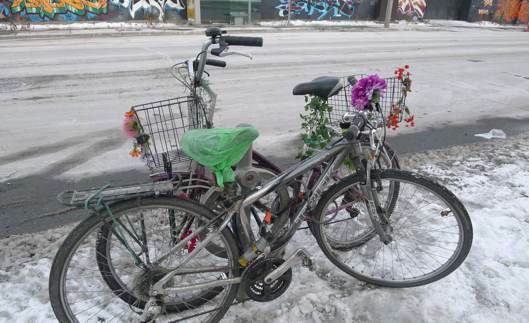 Nice bike…. was that the one you bought at the Bike Show? This ol’ thing? Nah, it’s my hybrid. I wouldn’t have been so stupid as to lock up my road bike in such a dark, isolated spot, you know that, Jim! BTW, I rode my Specialized on a self-supported solo bike tour along Lake Huron last summer – it’s perfect for touring! And it does pretty well in races, too.